Hello friends! Today it's Carol for the CottageCutz Design Team. It's the last day of February. Can you believe it. I am still working on a Christmas Album....lol But for today I have the Vintage Clock die from CottageCutz. This die is perfect for an Anniversary Card, Retirement Card, or Birthday. Thank you so much for stopping by today. I really appreciate you taken time from your busy day to visit. Enjoy your day and happy crafting. 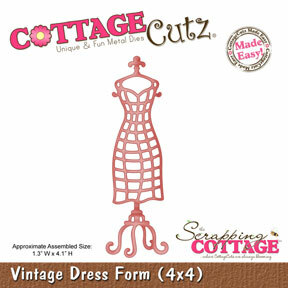 CottageCutz Stylized Owl and CottageCutz Ivy. I like to look beyond the obvious and I just wanted to try to use these Vintage dies for Christmas project. So I made a card with a pocket and a gift bag. 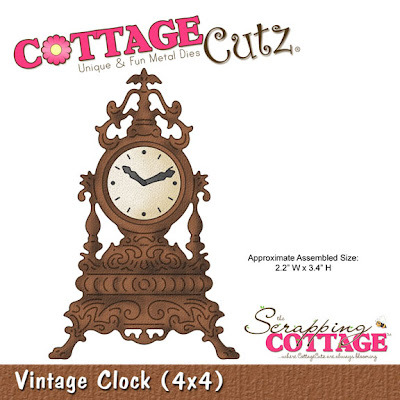 This great vintage clock shows midnight. Christmas night is here. People are in church and you can hear Silent night in the background. I like to wrap all Christmas gifts and make a little or big packages, but I never try to make a gift bag before. So, this was a great opportunity. Girls like if they get some cosmetic stuff, so why don’t give a little hint what is hidden inside the bag. For this, I used Cosmetic set. 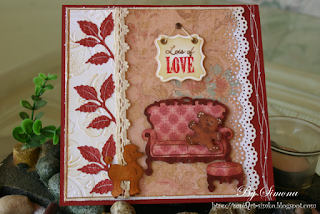 Vintage release really gives you a lot of possibilities and dies are perfect for vintage projects, but with a little imagination, they can be used for every occasion. Try it and enjoy it! 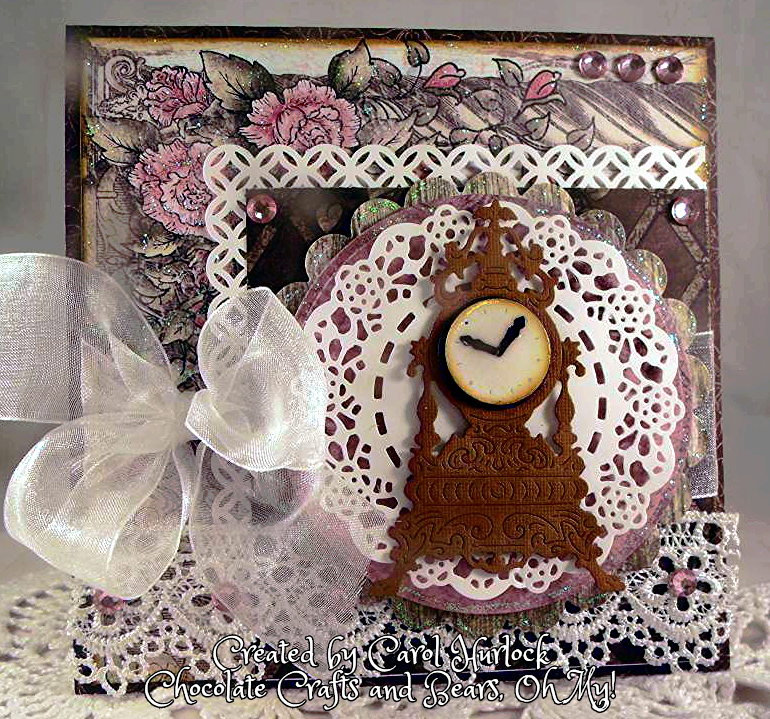 Hello everyone , Cheryl here with a Shabby Chic card I designed today using the Beautiful CottageCutz dies from the Vintage Release and Tea Time Release. 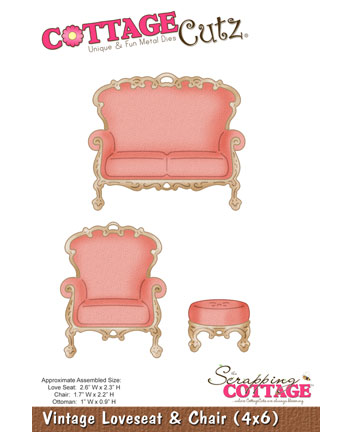 I LOVE the look of Shabby Chic its soo PRETTY and I LOVE PINK!!! For the Dress form I cut it out in matching dp, the one that is on the top, and then distressed it with distressing inks. 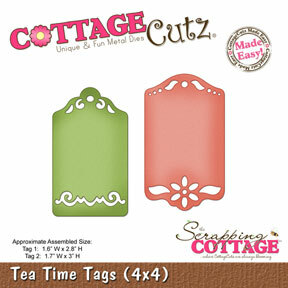 I cut the Tea Time Tag out with white card stock and did the same distressing on it. 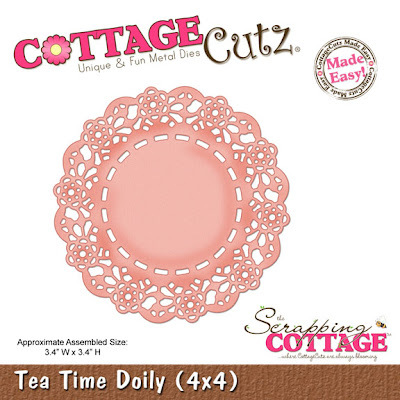 I next took the Oval doily and layered it on top of the Tea Time Doily to give a different look, and love the way that turned out. For the dress form I embellished it with feathers, and a flower. On the tag I used Seam Binding from Really Reasonable Ribbon and then added a flower to it. 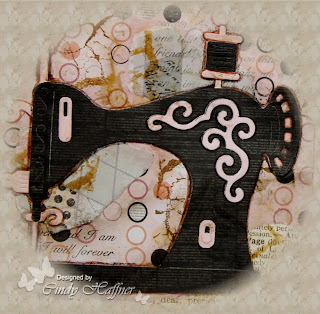 The buttons have thread ran through them to give the finished look. 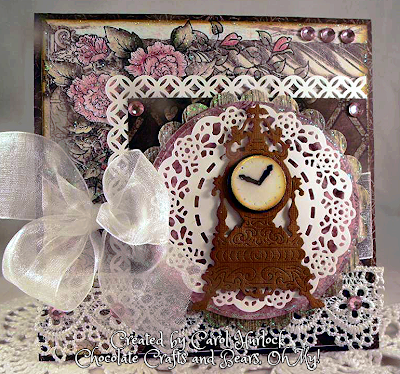 Lastly I stamped some vintage Verses and added some swrils to my card. 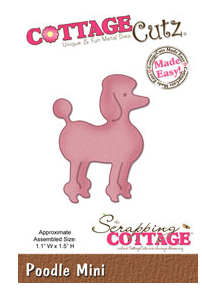 to the Scrapping Cottage Blog! with Distress Inks - Tea Dye, Brushed Corduroy. 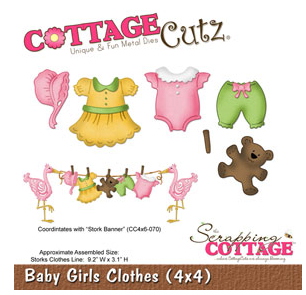 The little teddy is from the CottageCutz Baby Girls Clothes (4x4). It was cut out of white cardstock and colored with Copics. 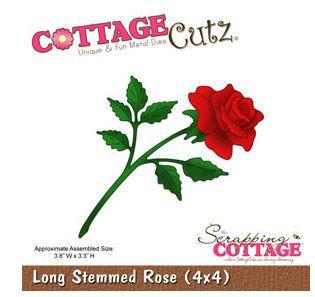 CottageCutz Long Stemmed Rose (4x4). of my stash, white gel pen and some self adhesive plastic pearls. 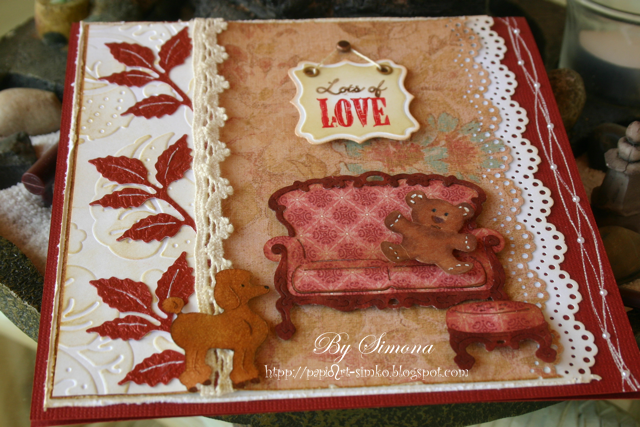 It's Olena here today to share with you a HELLO card! 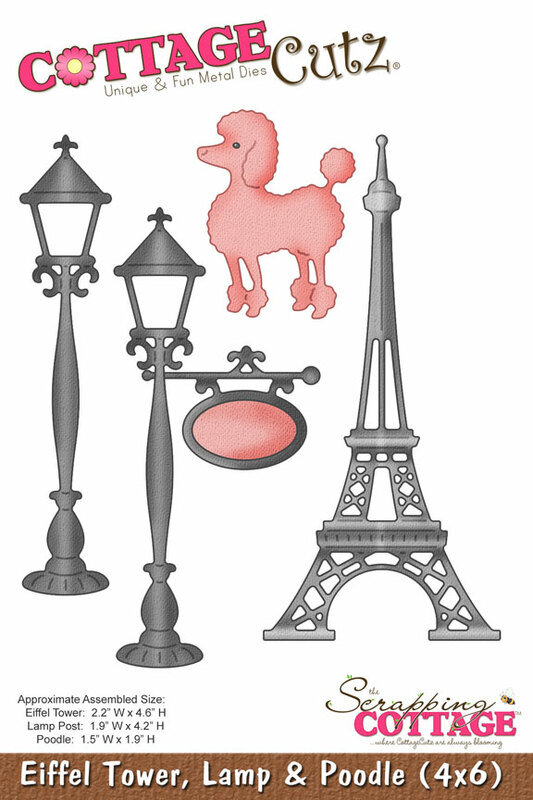 I made this card using the Super CUTE CottageCutz dies- Eiffel Tower, Lamp & Poodle dies from NEW 2013 Vintage Collection. 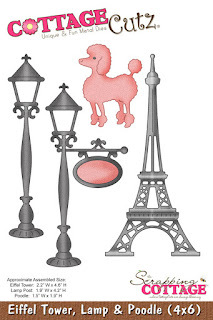 In first, I cut the Eiffel Tower in grey cardstock and sponged the edges with craft ink. 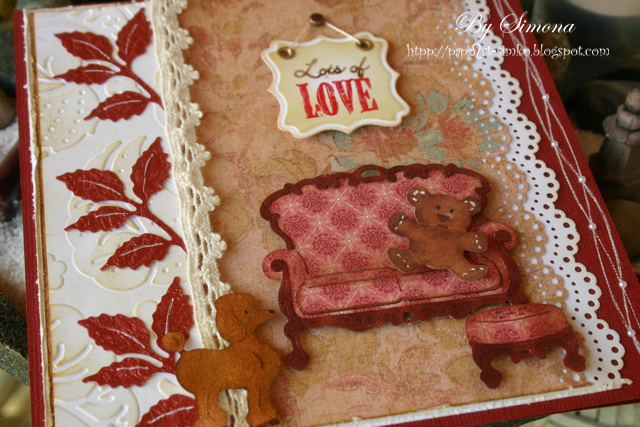 For background of card I used two colors of patterned papers. I cut rectangular pieces of papers then punched the corner with paper punch and glued all on cream cardstock and basic brown card. 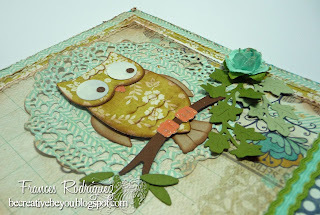 After this, I cut oval and scalloped oval shapes using Spellbinders classic dies. In a second, I added all pieces and die cuts to card front as shown in picture above. 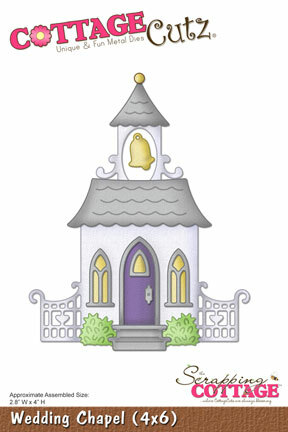 I also, put under the Tower the sentiment "Hello". I think, this sentiment is perfect for this card. Kathy with you today! 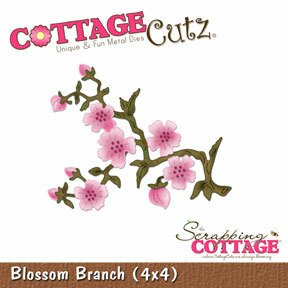 For my project, I have a center step card I made using two of CottageCutz's Dies, Wedding Chapel and Blossom Branch. I just love these dies, they are so much fun to work with! 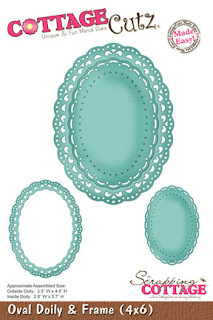 I cut out all the pieces with white cardstock and colored them with inks using sponges and make-up applicators. Some of the pieces were shaped a little with a molding mat and stylus. Here's a close-up of the die pieces. I love how the flowers came out with the blue ink and liquid pearls. These are the CottageCutz Dies that I used. 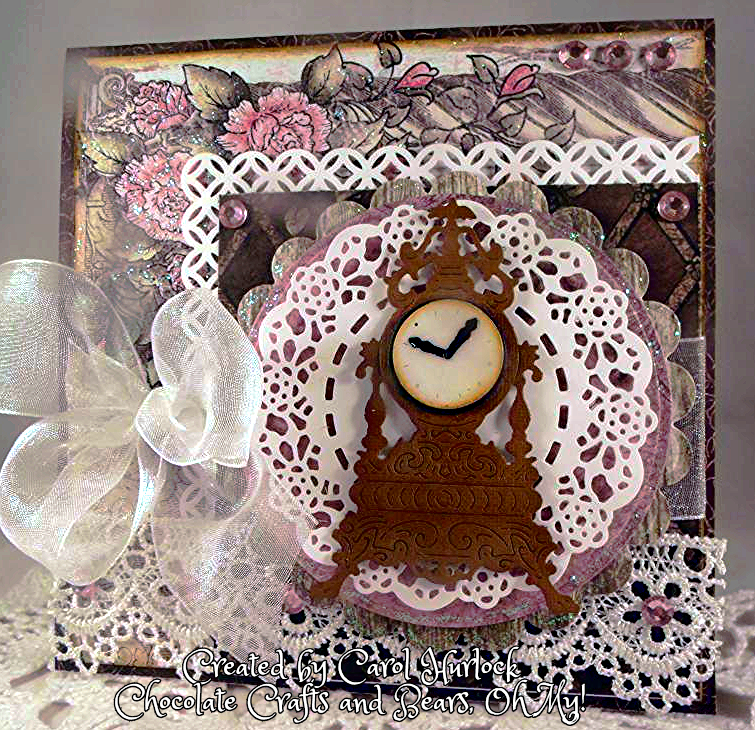 I hope you like my project and it give you a little inspiration for using these dies!